When Zeinab Mohamed moved into her downtown community housing building six years ago, she realized there were no affordable after school programs for her young daughter. That's when she decided to start a homework club. 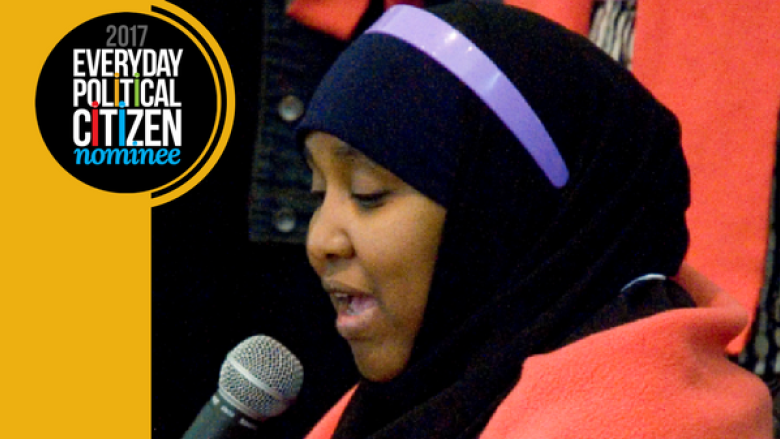 When Zeinab Mohamed moved into her downtown community housing building six years ago, she realized there were no affordable after school programs for her young daughter. That's when she decided to start a homework club in her neighbourhood for children aged six to 11. They come in the afternoon for a few hours of tutoring, snacking and playing. "I always thought, if there is a time I can help the young people, I will," she told CBC Radio's Ottawa Morning. Now Mohamed is a finalist for the "Everyday Political Citizen" award from Samara Canada, a charity that promotes citizens engaging in politics. "I never thought I was going to be recognized for something I was doing in my neighbourhood," she said. Mohamed and several other volunteers run the program with very little funding. Ottawa Community Housing has recently set aside a room in one building for the two-day-a-week program. It started small, but now the homework club is tutoring 27 children, with many past participants recently admitted to university. Seeing the children succeed puts a huge smile on Mohamed's face. She said she's begun to notice how much helping one child can impact the neighbourhood. "How does the child feel, how does the parent feel, how does the community feel? "It combines everyone … Now it's the whole neighbourhood." Mohamed will be in Toronto Thursday night for the gala where they'll announce the winner.